We're very excited that Father Christmas will be joining us for one weekend only before he heads back to the North Pole to prepare for the big day! 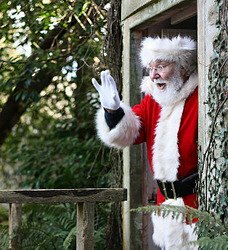 Bring your little ones along to meet Father Christmas, tell him their Christmas wishes and receive a hand-picked present. The Santa set up will take place in our magical dove cot within our beautiful gardens. Once you've seen Father Christmas, there's the Great House Christmas Room to discover and designer shopping for gifts galore - you'll find something for all the family! This weekend will host a variety of festive celebrations, exclusive offers and fun for everyone.